Date: May 10 2019, 11:30 a.m. - 1:30 p.m. 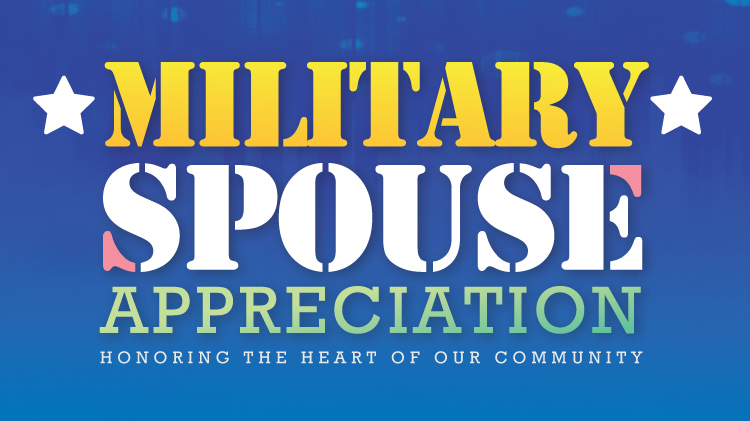 Spend your lunch hour with Family and MWR celebrating military spouses-the heart of our community! Meet representatives from Family and MWR programs, our community partners and learn about the programs and services available to you in the military community. Enjoy cake, giveaways, and several chances to win great prizes, including the grand prize of $1,000 in European Travel through Army Outdoor Recreation. This event is geared toward newcomers, but all are welcome.